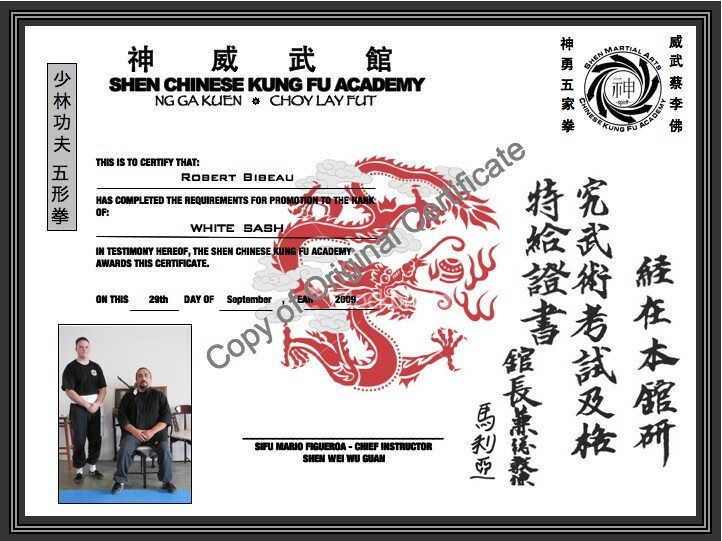 On this page I invite you to take a look at the certificates I have earned and review what I was thinking at the time I tested. I felt significantly more confident going into my yellow sash test than I did for my white sash. That being said, there were some pretty heavy concerns I had at the time. 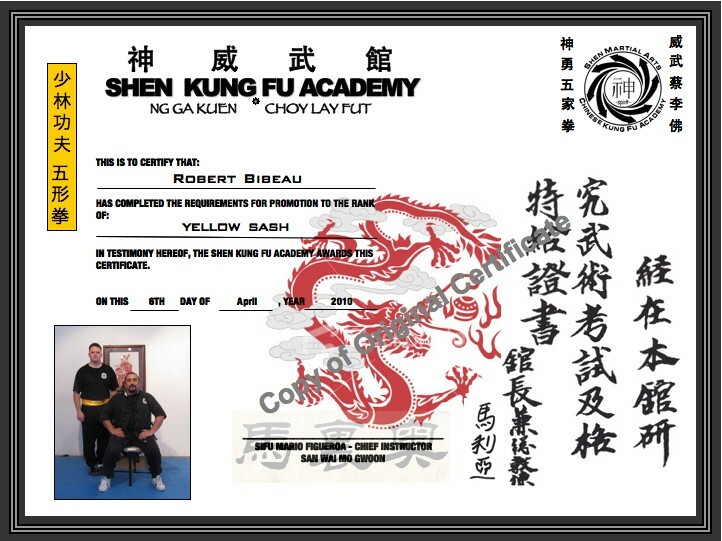 While I felt confident with all of my yellow sash syllabus, I was feeling that my white sash material had suffered due to the focus I had recently applied to the newer material. Additionally I was concerned about my level of conditioning. The memory of the raw physical intensity of my white sash test had me worried that I wasn't in good enough shape to complete the test. I've been through some pretty demanding schools and environments while in the Marine Corps and at times I was not in the physical condition I am now, but I also wasn't recovering from a Traumatic Brain Injury at the time either. I remember in the week or two prior to my test feeling like I had been doing the same things for months and that I was ready to move on to new material but on the day Sifu told me he wanted for me to test I instantly became concerned about how well I was doing the things I had learned. Suddenly I had a new found passion for studying on my own at night after class. As I was going in to the test on the 29th of September I had a ton of things going through my mind, I was very concerned about whether or not I'd be able to remember certain sequences or if I would have a bout of vertigo while trying to execute the Dok Lok Ma. It wasn't until after the test that I realized I was only a few hours away from it being one year to the minute since I had been injured. Of course by the time I did realize it I was way too tired to care.